If you’re wanting to jump into the cryptocurrency market, but don’t want to invest to heavily into it (such as thousands for a single Bitcoin), you might want to consider looking at other up and coming cryptocurrencies. They’re relatively low-risk, requiring substantially less money to get yourself into a few coins. Just one of those cryptocurrencies is Qtum (QTUM), and today we’re going to show you how you can buy a portion of Bitcoin or Ethereum to get yourself into Qtum. Interested in investing in Qtum? First you MUST buy Ethers or Bitcoins, then you can exchange it for Qtum on exchange such as Binance, which happens to be the largest cryptocurrency exchange in the world. Follow along below, and we’ll take you step-by-step through this process. Before you can buy Qtum, you need to buy into Bitcoin and Ethereum first — you can look at it as the “pathway” to buying lesser known cryptocurrency coin. You need to have these, or at least a portion of these, in order to trade them for Qtum and other smaller coins. So, the first place is finding a safe and secure exchange to purchase Bitcoin and Ethereum – we recommend using Coinbase. You can sign-up for free here at coinbase. Coinbase is a US-based exchange, so it’s under quite a bit of regulation as far as security goes — to even start buying, you have to upload a photo ID, verify your phone number, email as well as a credit or debit card or a bank account. That said, you can purchase coin with a credit and debit card as well as a bank account, but we recommend avoiding any credit/debit card transactions as the fees are exorbitant. You’re better off purchasing with a bank transfer, which has less fees, but also means it can take up to a week to see coin in your Coinbase account. 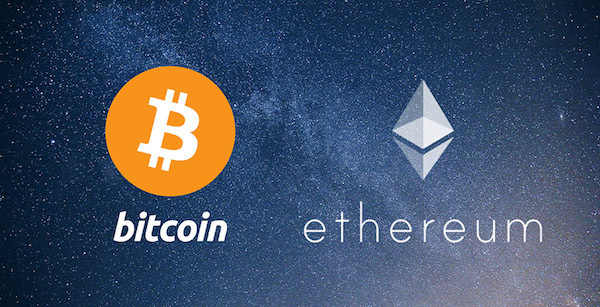 Once you’re all setup, you’ll want to buy Bitcoin or Ethereum (or another coin). It doesn’t really matter which one you get specifically, as we’ll be trading it straight up for Qtum on another exchange. Once you have your Bitcoin or Ethereum in your Coinbase account, we need to transfer it to another market to trade it for Qtum. We recommend signing up on Binance for this. You can get started for free at binance. Once you sign-up for an account, you’ll want to hover over the “Funds” tab and select “Deposit.” Find your proper receipt address (you would have to select the one for the cryptocurrency you bought on Coinbase. So, if you bought Bitcoin on Coinbase, look for the Bitcoin receipt address on Binance). Once you find that, copy the address. It should be a long string of letters and numbers. Next, head over to Coinbase, select the cryptocurrency coin you want to send, and paste the address in the recipient box. Then, follow the steps to send your cryptocurrency over. Once completed, it should take about an hour to show up in Binance. The next step is to trade your cryptocurrency for Qtum. You’ll want to find the proper exchange for this — so if you bought Bitcoin, you would want to find the Bitcoin for Qtum exchange. From there, you can choose how much Bitcoin (or whatever coin you bought) you want to trade for Qtum — you can do this in percentages or specific amounts. Next, finalize the trade. And congratulations, you are now the proud owner of Qtum! One thing you want to make sure you’re doing is keeping your cryptocurrency in a safe place. It’s OK to keep it over on Binance; however, do keep in mind that they aren’t foolproof solutions and have been hacked before and people have lost coins due to those hacks. That said, we recommend going out and spending a few bucks on a hardware wallet. The Ledger Nano S is a really good choice. Once you get it, you can setup a wallet specific to your cryptocurrency in the hardware wallet with the help of its firmware. 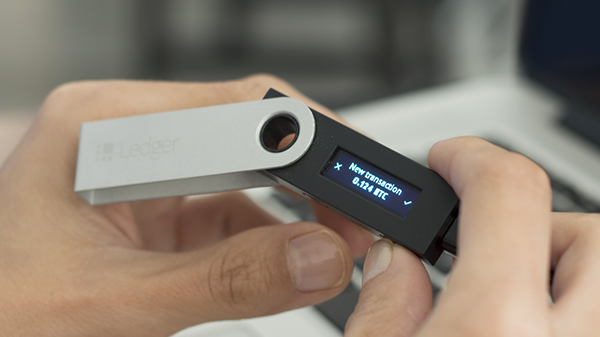 Once setup, you can withdraw coin under the “Funds” tab in Binance and send it over to the Ledger Nano S. Keep in mind that since the Ledger Nano S doesn’t work without the Internet, you’ll have to have it plugged into your PC or Mac to use it. Make sure to unplug it (safely) when you aren’t using it. Congratulations, by following the above steps, you purchased a mainstream coin and traded it for Qtum! If you ever decide that it’s time to cash out, simply reverse the steps. Send your Qtum from your hardware wallet to Binance, trade for a mainstream currency, send it back over to Coinbase, and then sell for your country’s fiat. It’s that simple!